With tips from industry experts, at-home remedies and a few hand luggage essentials, consider this your go-to checklist for how to prep your skin ahead of a longhaul flight and how to de-puff after. There are so many things to remember when prepping for a longhaul flight that sometimes, how we feel and what we look like at the end of it just might not seem like a priority pre-boarding. However, our skin can often be a giveaway even days after landing so it’s worth taking a little time to prep and maintain a routine during transit. 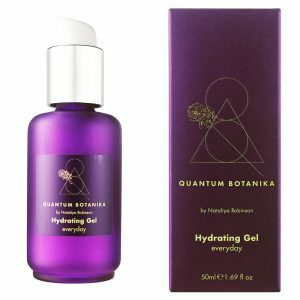 Potentially a lot easier to do if you’re on the flight back home than if you’re heading outbound, Nataliya Robinson, founder of Quantum Botanika skincare, suggests placing two teaspoons in the freezer for 20-30 minutes before applying one pump of her Quantum Botanika Hydrating Gel under each eye and massaging it into the skin using the spoons. Just one of her ‘kitchen cupboard remedies’ designed to remove puffiness, it requires minimal effort and returns maximum results.